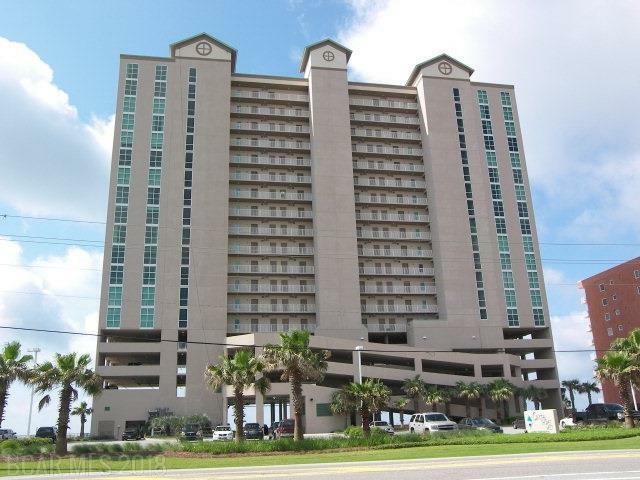 Beautifully decorated gulf front 2 bedroom / 2 bath unit in the heart of Gulf Shores. One of Gulf Shores newer and popular complexes located approx. 1 mile from Hwy 59. Unit offers granite counter tops in kitchen and baths, tile throughout and modern cabinets. The complex offers an outdoor pool with zero entry, hot tub, bbq area, covered parking, indoor pool, sauna, fitness room, game room and on-site property manager. This is the perfect complex for either a second home or rental unit.